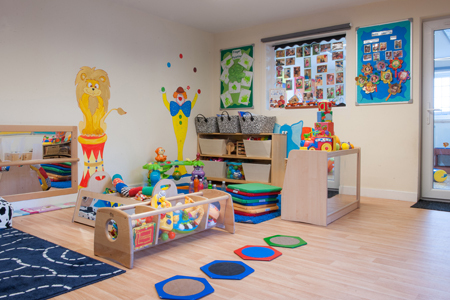 Our Caterpillar room is designated to our youngest children aged between 3-15 months. 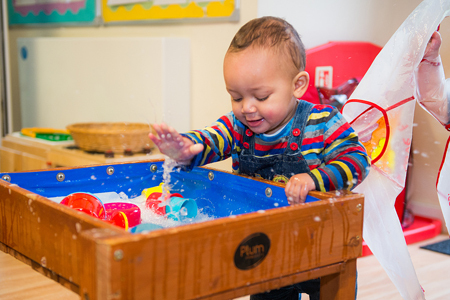 It encompasses a black and white sensory area for our youngest babies and age appropriate high-quality equipment and resources to enable the children to gain as many early sensory experiences as possible. 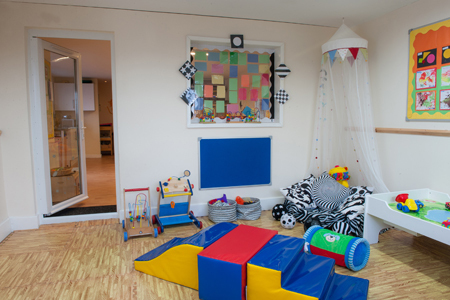 The room has a designated sleep area with full-size cots also offers a well equipped shaded garden area for your children to explore the outside. 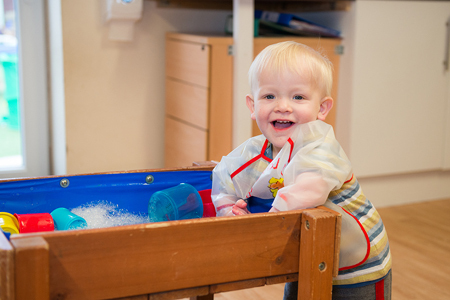 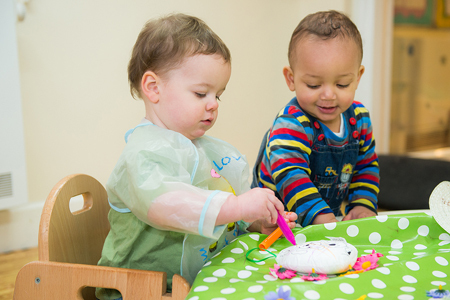 Several extra-curricular activities including Music & Baby Sign, take place on a weekly basis.